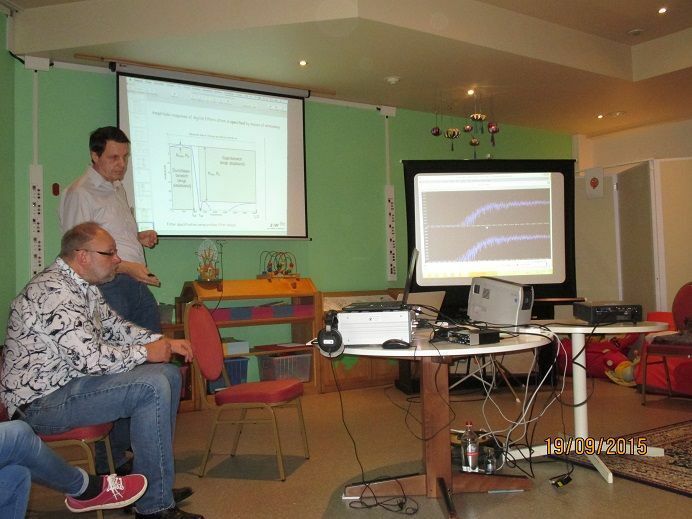 The 6th Congress of Audio-Psycho-Phonology-Evolved organized by Mozart-Brain-Lab took place on 19th-20th September 2015 in Sint Truiden, Belgium. 82 people from 19 countries, most of them APF practitioners, met there. The number of attendees from Eastern Asia and Eastern Europe were higher than in previous years, they came from Japan, China, Taiwan, Russia, Poland, Hungary, even from Kazakhstan. We enjoyed a friendly atmosphere throughout these two days; it was a great opportunity to talk to colleagues from so many countries and share experiences. Activities started on Friday evening when most of us met to have a “listening test” session. We had been invited to bring along “complex” listening tests from our own practice and discuss them within the group under the wise guidance of Jozef Vervoort. 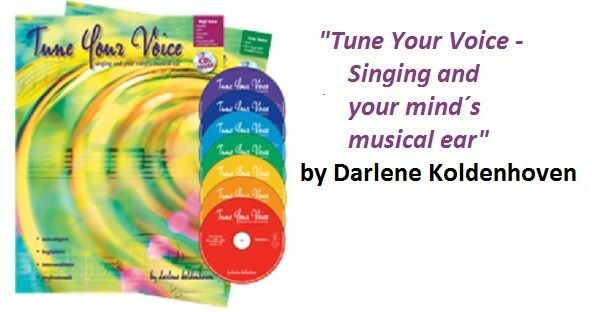 Darlene Koldenhoven has a very long curriculum in the vocal and artistic field: Vocalist, Composer, Producer, Songwriter, Voice and Music Teacher, Voice Coach, Actress, Author,… and since about a year ago Tomatis practitioner. Darlene´s voice is outstanding, she´s sung in 23 languages from lyric to jazz or rock&roll. Her workshop has been one of the best I´ve been to, short but intense. Her pedagogy and knowledge about the voice, body posture, mouth and tongue positions were excellent. She could very quickly detect where the problem or difficulty was and helped to solve it with great humour. 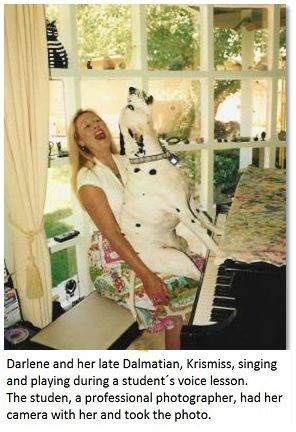 Darlene´s teaching abilities are so great that even her late Dalmatian Krismiss learnt to sing and even they shared student tuition! During the workshop we experimented in a very playful way how a baby reacts to a rythmic sound keeping the tempo steady: sound, pause, sound, pause… Darlene played the baby and all of us marked the rythm and during the pause the baby would react to it providing that the tempo always kept steady as the baby would notice any small change. Incredible, babies can listen better than adults! It´s a privilege that Darlene has shared with us her very interesting personal journey that not only is enriching her Tomatis practice but ours also. Darlene, you are a singer, composer, producer, voice teacher and coach, you have a very long curriculum, also you won a Grammy Award and have had three Nominations, and from about a year ago you are also a Tomatis therapist, ¿how did you get involved in Tomatis therapy? My appreciation for the discoveries, research, theories, and work of Dr. Tomatis go way back to the birth of my only sibling, a sister born deaf with no ears. Not knowing that at the time, it was merely five years before, when Dr. Tomatis proposed his theory of hearing by bone conduction that it came into acceptance. My sister was one of the first to receive a totally bone conduction hearing aid at 6 months old; therefore, her speech is most excellent. As a nine year old, I was also very much involved in teaching her how to speak and sing, so vibration and sound was always a big part of my life beyond the piano lessons and later as a teen, the voice lessons. In 2006, before I started learning about Dr. Tomatis and reading everything I could about him, I wrote a book with 7 instructional CDs titled “Tune Your Voice: Singing and Your Mind’s Musical Ear” It is comprehensive training in singing, ear-training/listening, and basic music theory, based on my years of experience teaching thousands how to sing and singing on thousands of recordings in the entertainment business. I also discovered that I could help a person out of “tone-deafness” with the use of my special eye movement technique I like to call “The Listening Eye Technique”. 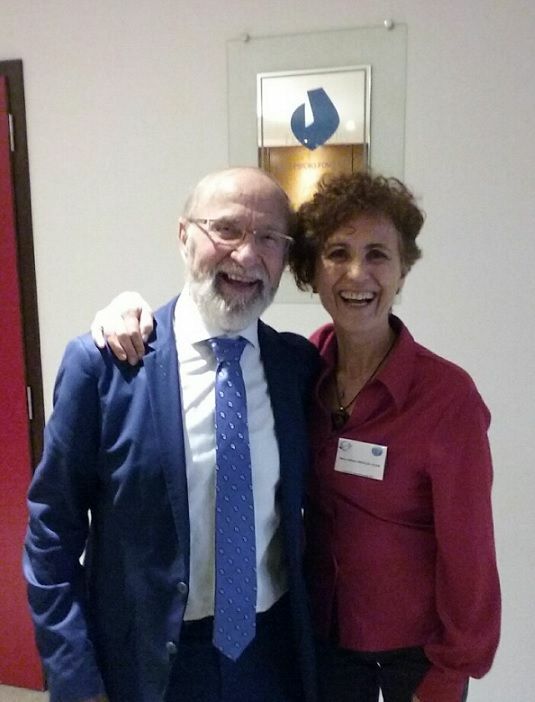 Don Campbell, author of The Mozart Effect, gave me a great quote for my book and invited me to attend a music therapy weekend in Boulder, Colorado, where I met and heard Dr. Ron Minson speak about the Tomatis method and his personal experiences with it. I gave Dr. Minson my book and a few months later after looking at it, invited me to speak at the International Conference of iLs (Integrated Listening Systems) practitioners where I also met Paul Madaule. I created the “Tune Your Voice” program in a very organized way that, as I found out after attending this conference, correlates with the Tomatis actives. Last year, I was having some vocal issues and decided to use Tomatis to see if it had any effect. To everyone’s surprise, the issue went away within 3 weeks and has not returned. 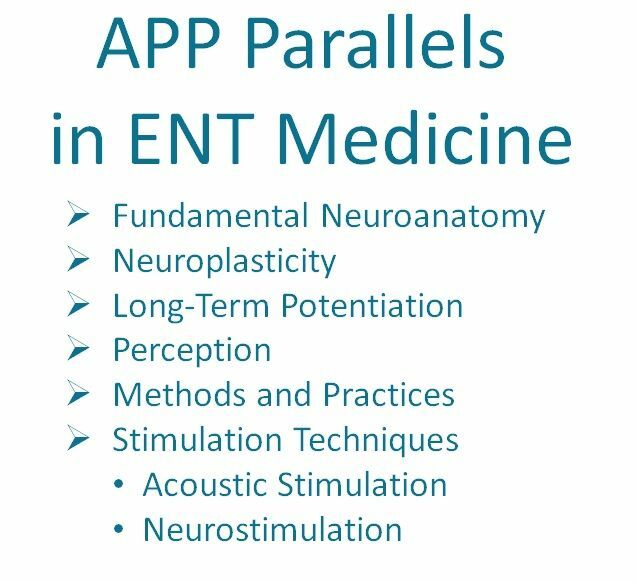 Dr. Minson had encouraged me to become a practitioner in 2007 but this event is what finally prompted me to become a practitioner. I have certification in iLs and have also studied at the center in Sint-Truiden with Dr. Wolfram Linn. Helping so many others gives me great pleasure; that is why I absolutely love doing this work. It seems that from a very early age you were meant to be a singer and also someone who could help people with listening difficulties. What would you highlight from this long journey, what would you like to share from this personal journey? My mother’s father was a semi-professional singer, as was his family of musicians and singers. There was always a lot of singing going on in the house and on long car rides. Before that, mom told me she used to put the radio on her belly when she was pregnant with me and sing to me a lot. I also remember her singing and rocking me in the rocking chair everyday to put me to sleep. My first public appearance was at church on Easter Sunday morning at age 3 singing a solo of “Lo, in the Grave He Lay.” Piano lessons began at age 9 but singing was a natural part of growing up for me and I always felt bad for the kids who couldn’t sing. I just couldn’t understand it as a little girl and so I would try to help them. I graduated college early and taught elementary school music for six years before moving to Los Angeles to become a recording artist. Teaching in public schools, I started developing my techniques for helping the pitch challenged. Later on in my private teaching and in teaching on college faculties, I honed the techniques for helping others to go from hearing the world in black and white to hearing it in colour, so to speak. What would you say to singers, musicians, actors and actresses about how Tomatis listening sessions can help them? I could write a whole book about this but here are a few ideas for starters. For singers and musicians, it can open the ear to being able to hear more overtones in their voices and instruments, critical to developing a variety of colours or developing one particular tonal quality or timbre. In my practice with singers, I have seen it increase the range, low and high; overcome blocks in critical bridge passaggio points of the voice; increase confidence in singing, increase the brilliance in the vocal colour and overall resonance; and for musicians as well, an increase in muscle control, stamina and power. I have also seen it revive atrophied vocal cords. Sight-singing for singers and sight-reading for musicians becomes easier as it helps organize sounds in the brain. There is a deeper level of discernment or perception to listening that happens; like removing a grey film from a dirty window, suddenly everything sounds clearer and one knows exactly what to do next. During the workshop we´ve done vocal exercises that appear in your book “Tune your voice”, book that is addressed to everybody: singers, non-singers, beginners and professionals, even to those who think they are “tone deaf”, as the objective is to develop the mind´s/voices´s musical ear, and it´s been produced in such a way as to allow to learn consciously and sub-consciously. Reading through it I´ve seen the concept “Audiation”, new to me, which I´ve found very interesting, could you explain what “Audiation” is? I picked up the term “audiation” from Dr. Edwin Gordon, specialist in music education who suggests that audiation is to music what thought is to language. I like the term “audiation” because to me it connotes an internal level of energy and processing activity that goes on in the mind’s musical ear; not just trying out for something. Besides, as a singer/musician who has had to “audition” for parts in various productions, it gets very confusing. And to finish, I think you´re writing another book at the moment, is that so? Actually, there are several books I’d like to write, all involving music. I just wish there were many more hours in the day to write them. I hope to have something ready during 2016. 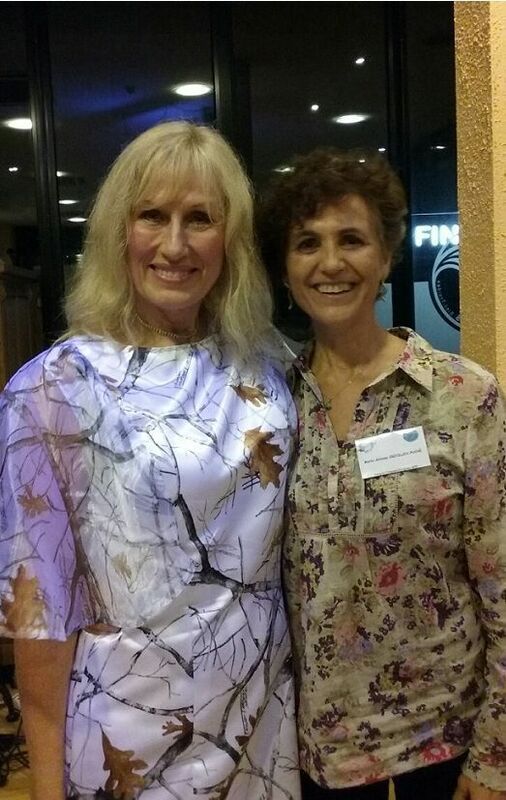 Thank you Darlene for your interesting and fun workshop, and for this interview where we can see that behind your extraordinary professionalism there is a wonderful woman who seems to have been born to brighten up our lives with her voice and to help us improve our listening. Dr. Zastrow introduced us to the magnificent neurological world of the auditory system. We have 100 billion neurons at birth, but most important is the communication between them that can reach 100,000 synapses per neuron. Synapse is the communication established between neurons via neurotransmitters. The rate at which data is transmitted varies between the child and the adult so while the child’s speed is 10 m/s, in an adult is 120 m/s. as these connections are myelinated and this increases the transmission rate. 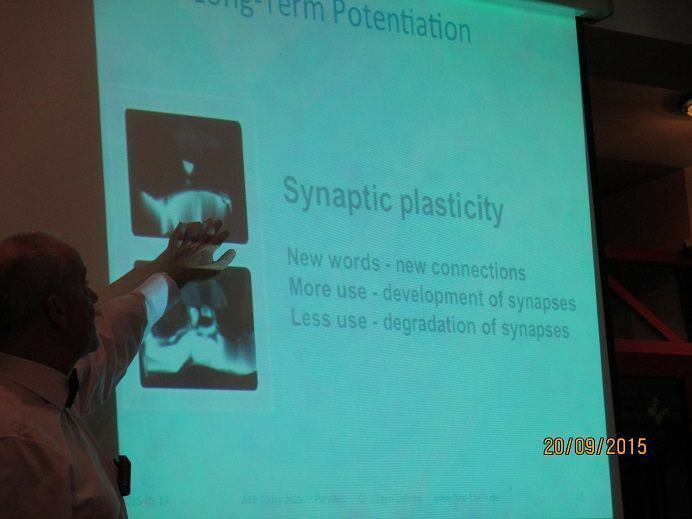 Dr. Zastrow showed us the enourmous plasticity of synapses and how important training is as it strengthens synapses by closing the distance between neurons by calling in more neurotransmiters. Therefore, if there isn´t enough stimulation and we don´t use the new learning, as the saying goes, “if you don´t use it you lose it”. Stimulation comes in many different forms. Tomatis training would be a wonderful type of stimulation. I had the opportunity to talk to Dr. Zastrow, and I had to begin with the subject which we ended up the talk two years ago: the state of Tomatis-ENT doctors relationship, is it getting closer? The Brain Activator is an improved version of the Electronic Ear designed by Dr. Tomatis. The presentation was quite technical, for example how sound is filtered. A discussion took place as to what type of sound is being used: analog or digital. As we depend so much on technology in this therapy it´s important that this issue is totally clear to us Tomatis therapists so no manipulation can take place. Our ears and hence our brain prefers analog sound, as it replicates the original sound waves, for example cassette tapes are examples of analog mediums. However, we live in an age of digital sound, for examples CDs and Mp3, and digital sound wave only replicates the sampled sections of the original sound wave at a specified rate. However, not all recordings on CDs are the same, and Mozart-Brain-Lab uses recordings in 24 bits, adequate rate to get a digital audio fidelity. Brain Activator is a digital processing machines, however sound may enter analog or at 24 bit, it´s digitally processed and comes out analog, as it was very clearly explained. Personally technical information seems rather arid, but there is no way out from learning at least the basics. We were able to know about the study that has run for a year in two kindergartens (pre-schools) and three elementary schools in the area of Frankfurt (Oder), Germany, to evaluate the effectiveness of Tomatis training. We were able to know only the overall results of the study since the study is to be published in a few months in a scientific journal and under copyright law results cannot be made public before publication. And unfortunately no information about this study can appear in internet before it´s published. 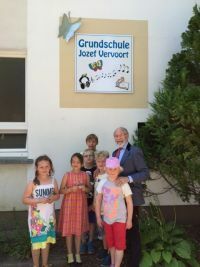 However, the area of Frankfurt Oder is so delighted with the Tomatis sessions that one of its schools, the Dolgelin Primary School in the region of Brandendenburg, that´s been offering a special Tomatis listening program since 2010, has named the school “Jozef Vervoort Primary School”, as a big thank you to Jozef Vervoort, director of Mozart-Brain-Lab and Atlantis Tomatis centers. 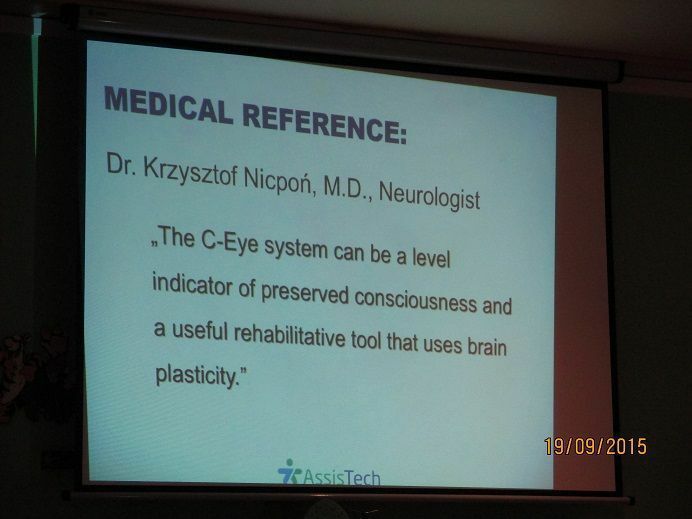 And besides these four “official” activities, we also had the chance to see the presentation of the C-Eye System. It´s a system designed by Gdansk University of Technology and was presented by AssisTech, a Polish company. And finally, the “soul of the Congress”: Jozef Vervoort, as happy and generous as ever. I had the opportunity to talk to him, a bit difficult because he was so demanded from everywhere, however, very kindly he spared some time to comment about these few days and what new proposals he´s got in store for the future. Thank you so much Jozef, you´re an inspiration and a beacon of light in the Tomatis field.